Check out our Weekly Special! Click ‘book’ for more information on trip times and availability! 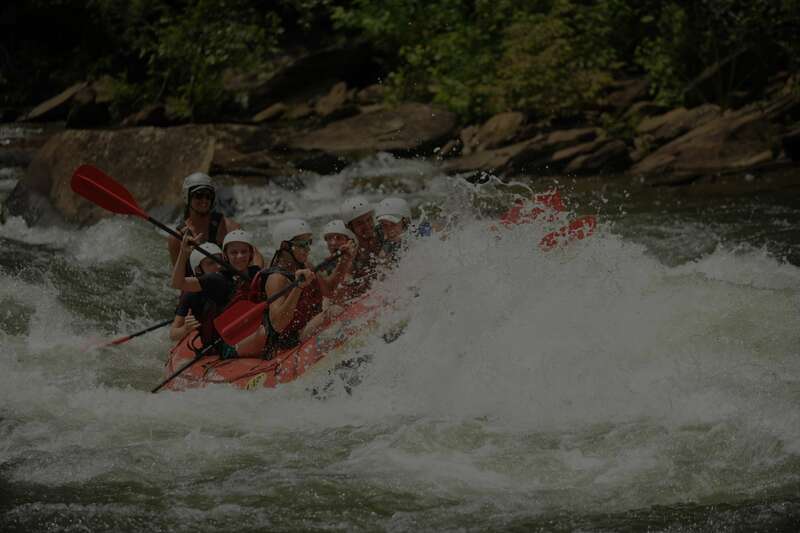 Trip Info The Middle Ocoee is action-packed from start to finish! The twenty-six Adventure Class rapids on this five-mile stretch of river, with names such as Grumpy's, Double Trouble, Tablesaw and Diamond Splitter make it one of the South’s most popular rivers. Trip Info Combine the Middle and Upper Ocoee sections for a full day of whitewater fun. The Full River trip covers approximately 10 miles, and includes a great riverside lunch between the upper and middle sections. Trip Info Run the section of the Ocoee River that became famous in 1996 for hosting the Olympic whitewater competition. This section covers approximately 5 miles, and includes rapids like Blue Hole, Mikey’s (he eats everything…), and Humongous. It's easy to see why this five-mile stretch of whitewater was worthy of the '96 Olympic Games. If you want to sleep over, we have 27 platform tents for roughing it the easy way. Each tent sleeps four people on comfy 4-inch thick foam sleeping pads. Just add a sleeping bag and you’re ready to crash for $32 per tent per night. The tent camps are conveniently located near our outpost with store, restrooms and hot showers. Need a place to gather your group? Two large pavilions near the camping areas with grills, electricity and water can accommodate your gathering. Our lower campground at Big Frog Expeditions is great for large groups. The large covered pavilion is the perfect setting for youth gatherings & company meetings, and provides plenty of seating and shade. There is also plenty of room to get any excess energy out before crashing for a comfy night of camping! The upper campgrounds at Big Frog Expeditions are a little more secluded than the lower campground. Both upper areas include a fire pit, and there is a large pavilion behind the outpost that is accessible from the upper campgrounds, along with a grilling area. Lower campground includes fire pit, access to volleyball court, and close proximity to a large open field. Pavilion at Lower Campground with platform tents equipped with comfy sleeping pads for all! Upper Campground under the pines at Big Frog’s outpost. Looking for another adventure to accompany your Whitewater Rafting or Outdoor Camping experience? 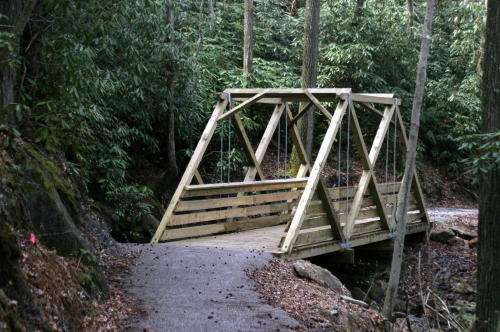 The Cherokee National Forest and surrounding areas are wonderful playgrounds to explore! This spectacular venue for white water rafting trips on the Ocoee River was built by the Cherokee National Forest as the site for the 1996 Olympic Whitewater Slalom competition. Anchored at both ends by the impressive commemorative Olympic bridges, the site features exciting views of whitewater rafting on the Upper Ocoee River, along with paved paths for walking and biking, great sunning spots, and hiking and biking trails. The venue provides restrooms and an information desk, and also features paved river walks and picnic areas which are all wheelchair accessible. 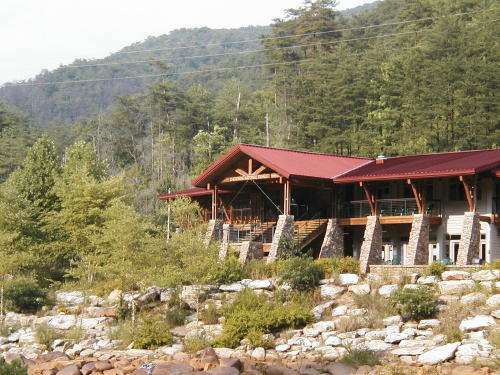 The Ocoee Whitewater Center is located on the Ocoee Scenic Byway (US 64) between Cleveland and Ducktown, Tennessee. Coming from any direction, your trip is filled with splendid views of mountains, lakes and the Ocoee River. 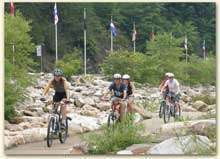 Consisting of a four-acre recreation area, the Ocoee Whitewater Center offers picnicking, hiking, biking, birding, water play, environmental education programs and provides the playground for Ocoee River white water rafting and kayaking on the Upper Ocoee River. Don’t forget that if you are feeling tired after a long day, we offer great Ocoee camping options for you! Click here for more information on the Ocoee Whitewater Center. There are lots of beautiful swimming areas around the Cherokee National Forest. If you have a large group, and are interested in adding a weekday swimming adventure to your itinerary, we’d love to accommodate you! Just give our friendly reservation staff a call at 877-7762633, and ask about our swimming trip options. If you have a smaller group, and would like to explore the area swimming holes on your own, just ask us, and we’ll share some of our favorite spots! Want to round out your whitewater rafting adventure with some horseback riding? Give us a call at 877-7762633 for more information! 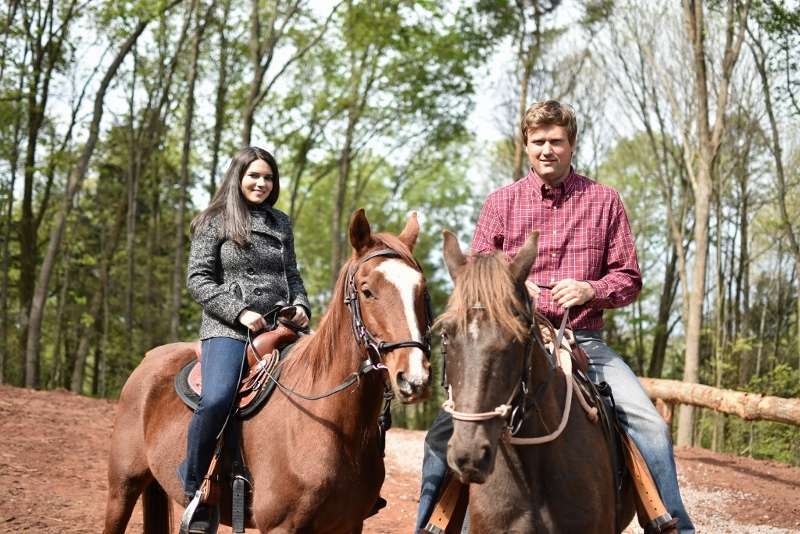 Ocoee Horseride is located just outside of nearby Cleveland, Tn. 1-hour long rides on privately owned property. Half-day and full-day options in the Cherokee National Forest also available. Exciting and fun way to spend time with your friends! Join BIG FROG EXPEDITIONS for an exciting mountain biking adventure. The trails of the beautiful Cherokee National Forest provide the perfect setting for our mountain bike riding excursions. Located on the edge of the Cherokee National Forest, we have miles and miles of trails and forest roads at our doorstep, ranging from beginner to advanced levels. Bring your family and friends and let our experienced guides lead you on a fun ride with awesome scenery alongside the Ocoee River on the historic Copper Road trail, atop Chilhowee Mountain with a view over Parksville Lake, or into the Cohutta Wilderness alongside a cool mountain stream. We can tailor our itinerary for your group when you make your reservations with our friendly staff. Come see us — we think you’ll be glad you did!